I do realize that this particular review may cause some readers to scratch their heads and say, “A Lutheran Pastor, really?” For that, I guess I need to say that I offer no apologies, only one more peek into my life, which like your life, is multi-faceted and peculiar. 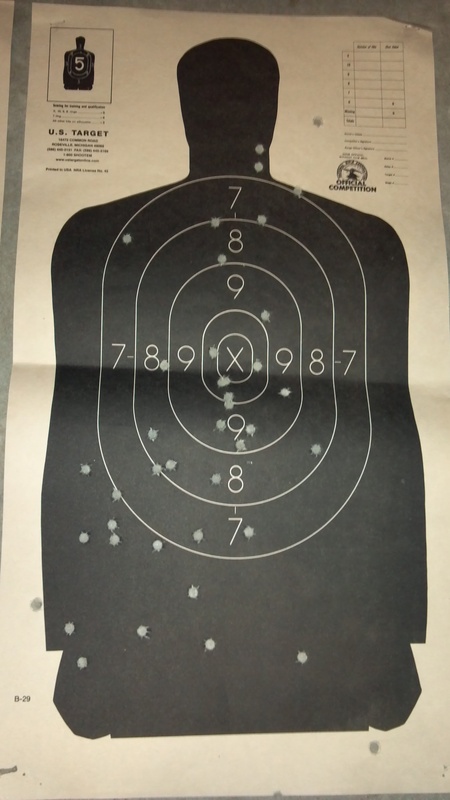 Last week, I went to a shooting range with a good friend and member of my parish. 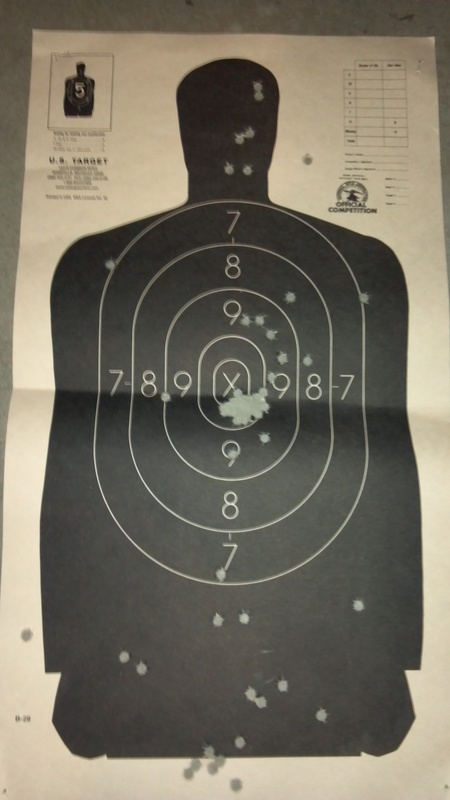 I was anxious to try out a particular weapon, the Sig Saur P226. I quickly realized that there is a reason that this pistol is issued to and carried by elite military and police professionals like the U.S. Navy Seals and the Michigan State Police — it does everything except actually ask, “Where would you like the bullet to go?” And even with that, with every round fired, I felt as though I were having an “Avatar” moment in that the gun and I were linked. Wherever I wanted the bullet to go, it did so with ease and precision. 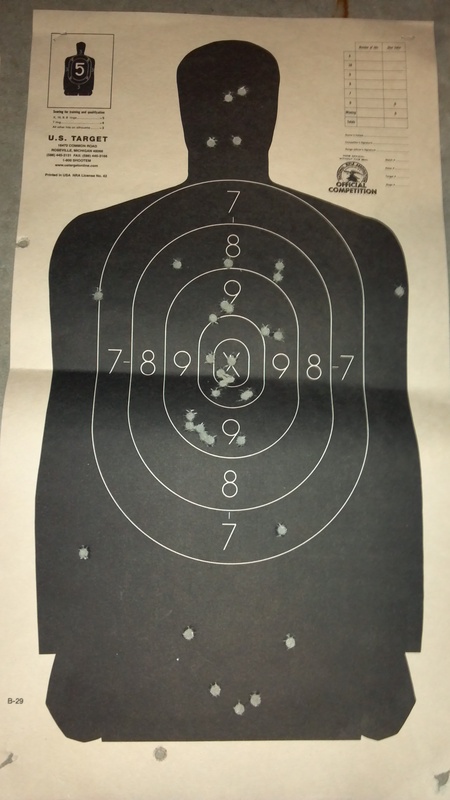 This was my first time with this gun. We had enough time for me to fire and load a total of nine magazines of fifteen round capacity each. I cleaned up a total of three targets, all of which I proudly hold as testimonies to my Avatar. With the second target, you’ll notice that there’s a bigger hole in the center. That is the mark of a complete magazine being unloaded as quickly as I could fire. All fifteen rounds chased through the same space. Again, brilliant — precise. The last target is quite interesting. With this one, my goal was to unload the magazine as quickly as possible, reload and do it again, ultimately spending the three that I had. I set this target at 30 yards. As you can see, there are only three stray holes from the target body. Of course, I wasn’t sure how to translate that until my friend Shawn told me that at least two of those are, most likely, the first shots from the reloads. That makes sense since that first trigger pull, it’s not hard, but it is stiffer than the fourteen rounds that follow. Nevertheless, they’re all right there. So what does this have to do with whisky? Well, I was quite proud. And the only response to such pride is the popping of a new bottle. So as it was, later that night, I presented my targets to my endearing wife, and while I explained the experience to her, I selected the Auchentoshan 18 year old edition from my cabinet. It had been sitting ever so patiently, waiting to congratulate me for something such as this. The nose of this particular edition was incredibly pleasurable, reaching up to pat my back and say in tandem with my target’s smile, “Well done, preacher, O ye gentle means of Gospel bearance accounted as a pale rider in black.” This patting was welcomed. It offered the smell of freshly cut fruit and honey sweetness. The palate amplified the rejoicing and brought an oaky sweetness, so favorable, so pleasant. The finish waved farewell, promising to greet me again with such wonderful enthusiasm the next time I passed his way, and hoping that I’d have similar news to herald. It was a long goodbye, sending dried fruit for the ride. 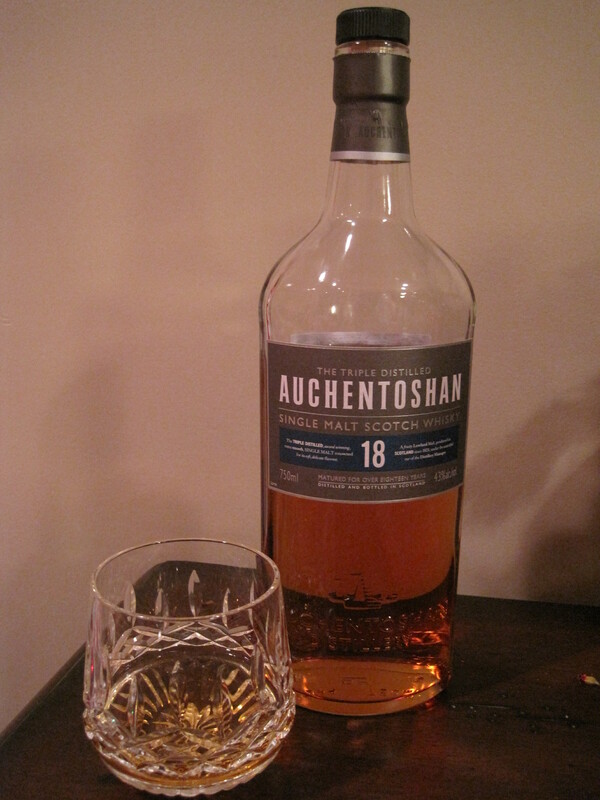 I look forward to another day at the range, not only because I thoroughly enjoyed the Sig Saur P226, but because I would be happy to visit and celebrate with my friend, the Auchentoshan 18 year old.